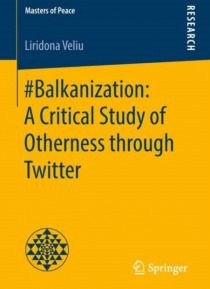 Liridona Veliu examines 'balkanization' as a long-standing discourse of identity construction, otherness and stereotyping through Twitter. Although deriving from the Balkans and attached to the Balkan Peninsula, the 'balkanization' discourse has gained a life of its own. The author challenges its current manifestations shaped by the era of social media and identifies and connects its meanings with… deeper processes of historical events. This book denaturalizes 'balkanization' as a constructed source of knowledge,�approaching the topic embedded in genealogy and deconstructivism, and applies�critical discourse analysis as a method of research.